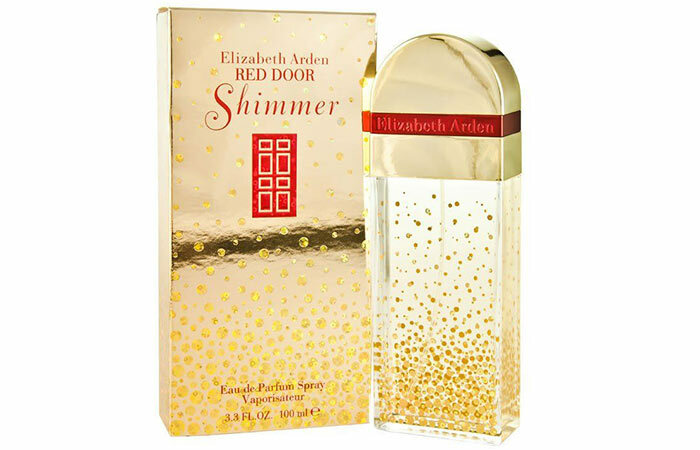 Red Door is undoubtedly the most popular fragrance from Elizabeth Arden. The ‘Shimmer’ edition of this classic was released in 2008 and is a lighter alternative to the original. It is enriched with Japanese pear, yuzu leaves, blackberry, and pink pepper as the top notes. With a musky base, its dry-down is what reveals the roots of this perfume. If you love a good fruity-floral scent with a touch of spicy and woody notes, this fragrance is meant for you. It’s perfect for those cold winter evenings and special occasions. The sparkling, fresh floral scent of My Fifth Avenue evokes the energy of one of the most famous streets in the world – Fifth Avenue, NYC. It features crisp citrus notes that are complemented by feminine florals. 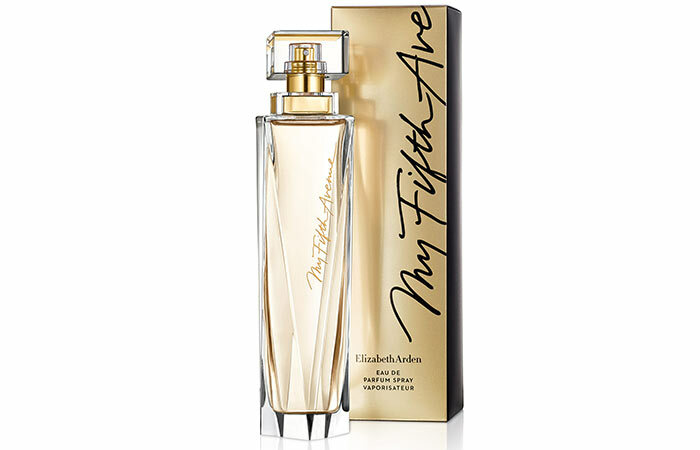 If you’re a lady looking for a woody-fruity scent with a hint of jasmine, My Fifth Avenue is for you. 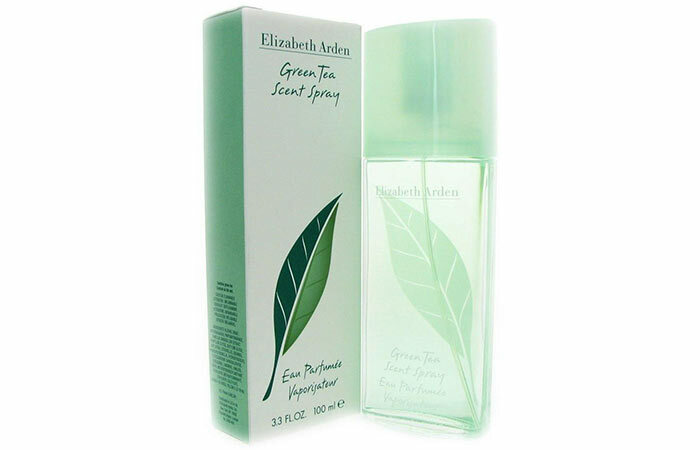 Green Tea Scent Spray by Elizabeth Arden is an aromatic citrus fragrance that was launched in 1999. This light and refreshing scent is not one bit pretentious; rather, it does precisely what it claims. 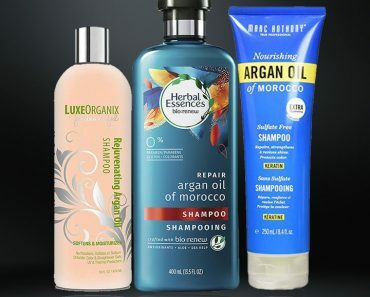 Green tea dominates its opening notes, and then the citrus notes gently come through with a flush of herbal freshness. 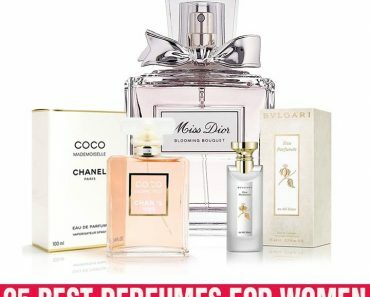 It’s the perfect perfume for a hot summer day and a great pick for daily wear. 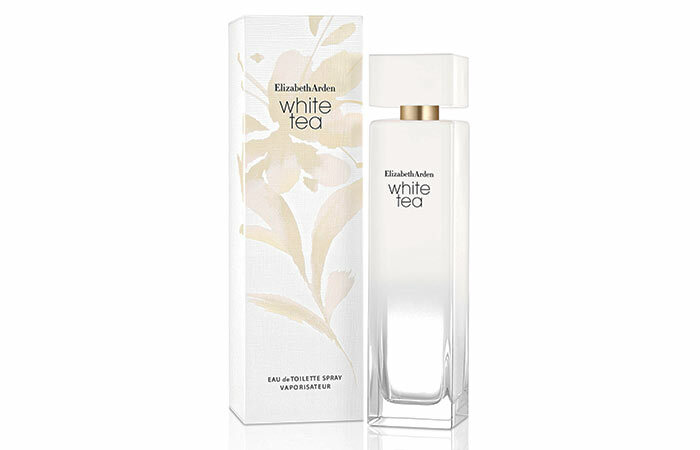 Elizabeth Arden has captured that moment of blissful peace you experience with the first sip of tea with its exquisite White Tea perfume. Dominated by its fresh tea scent, this delicate fragrance also has a hint of warm, fluffy musk, and powdery iris. It manages to be low-key without being boring, making it perfect for daily wear or the office. 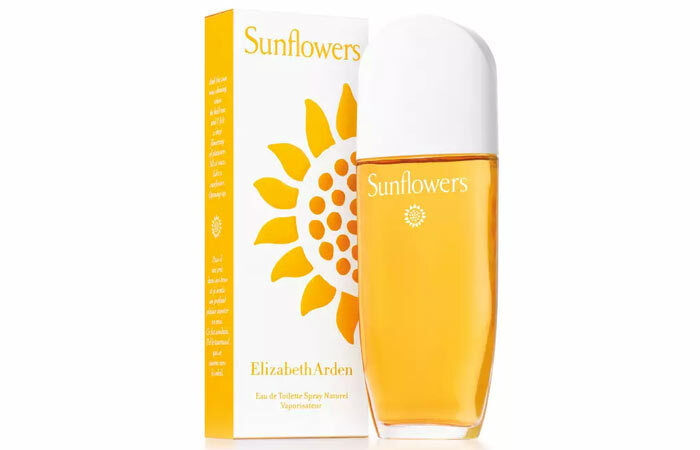 Sunflowers is an incredibly versatile perfume that is suitable for women of all ages. This zesty, crisp fragrance is ruled by luminous lemon, orange blossom, rosewood, bergamot, melon, and sweet peach notes. Its sensual base is composed of cedar, amber, moss, musk, and sandalwood. But, the star of this fragrance is the sunflowers that shine through to brighten things up. 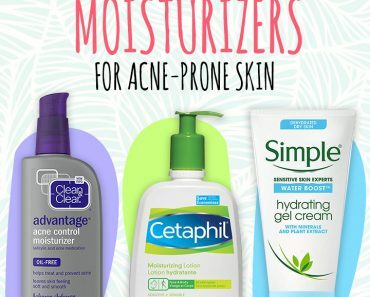 It is perfect for spring or summer days. 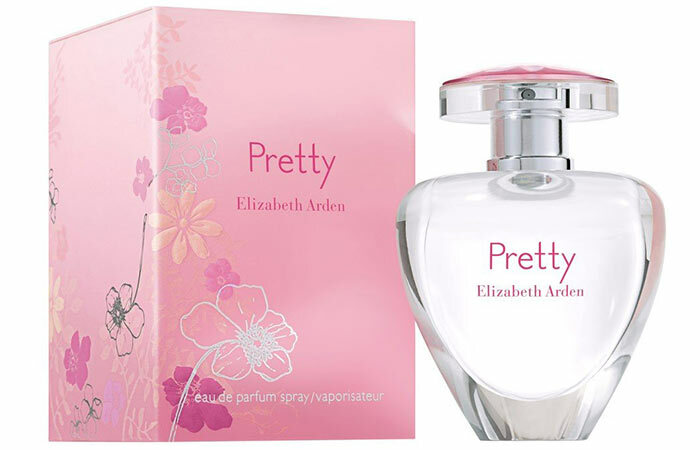 With its seductive and feminine concept, Pretty opens with a refreshing breeze of mandarin and orange blossom mixed with peach juice. Its floral heart combines beautifully with its creamy base that is composed of musk, jacaranda wood, and amber. Its clean, floral scent is a fitting choice for the office or daily wear. 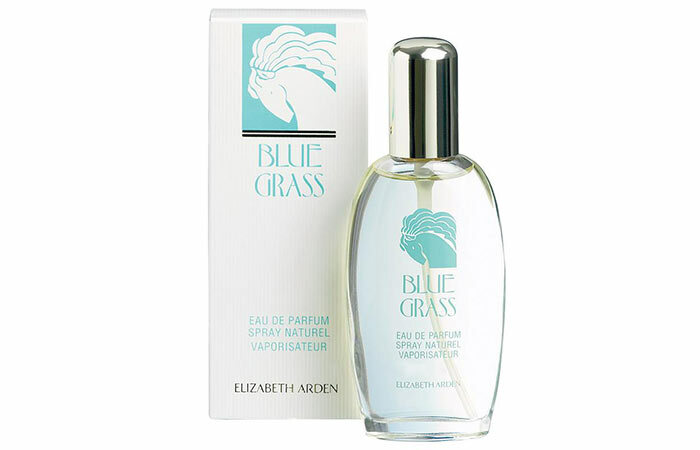 If you have a thing for vintage-smelling scents, Blue Grass is for you. It was created back in 1936. 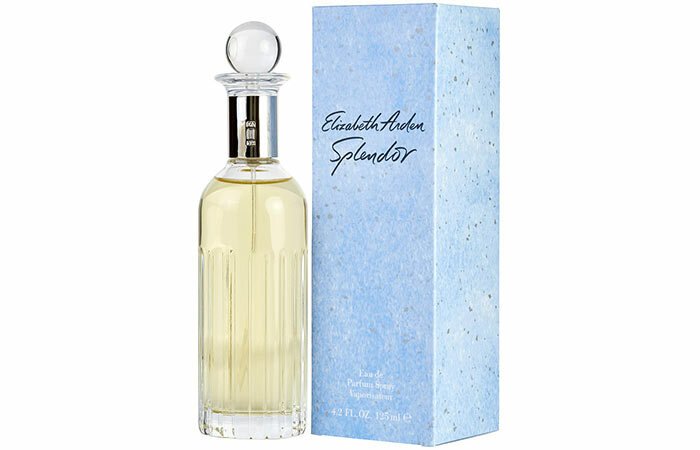 (Fun fact: It’s the very first Elizabeth Arden fragrance launched during the Great Depression in America.) This fragrance starts off with citrus and green fruit notes that later transform into floral notes. It best resembles a fine carnation scent and takes you back to another era effortlessly. 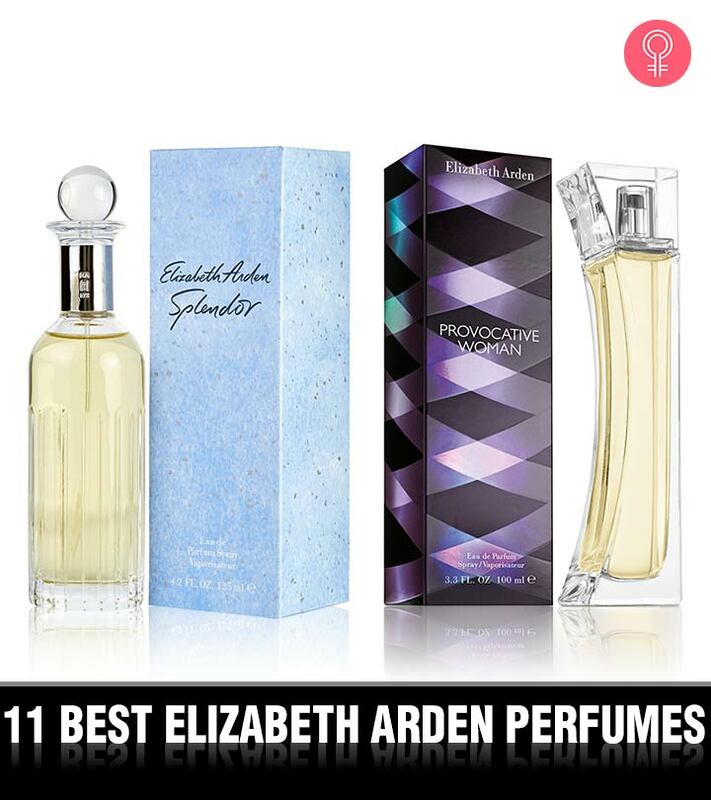 Provocative Woman by Elizabeth Arden is a spicy-woody fragrance that is a little dark and a little daring at the same time. Its amber-based woodiness is in perfect balance with its floral and fruity notes. Ginger and sandalwood come together with peonies and orchids to create a scent that can brighten any mood instantly. 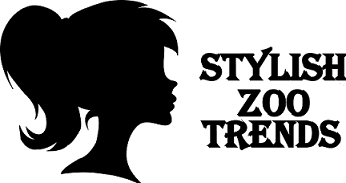 It is ideal for women in their mid-20s and over. 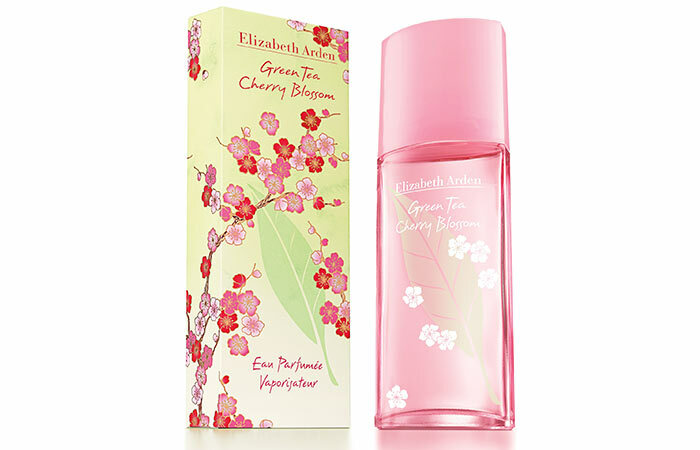 Cherry Blossom from Elizabeth Arden’s Green Tea line captures the mesmerizing and ethereal beauty of cherry blossoms at the peak of spring. Its romantic composition brings together the feminity of delicate pink petals and the freshness of green tea leaves. This fragrance does not deviate much from the original Green Tea perfume, but the cherry blossom is what makes it truly stand out. 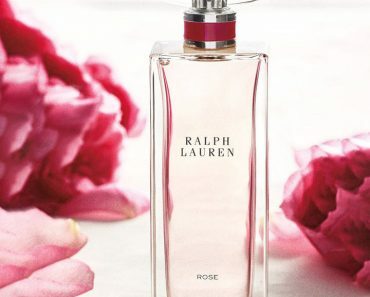 Its clean, feminine floral scent is great for daily wear and a mid-day refresh. 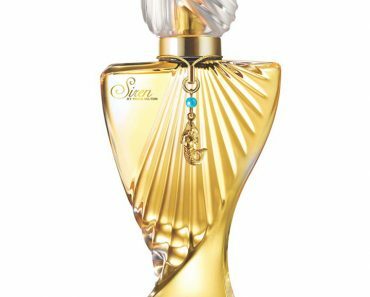 This oriental-floral fragrance was launched in 1998. If your tastes lean towards floral, sweet, and feminine scents, Splendor is for you. It has fruity top notes, floral middle notes, and a delightful blend of sandalwood, amber, musk, cedar, and Brazilian rosewood at its base. This one’s an elegant and safe daytime fragrance for spring and summer. Its versatility makes it a great option for any occasion. 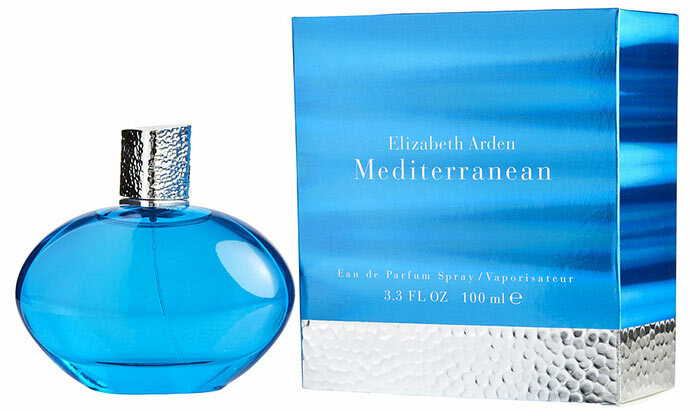 Mediterranean by Elizabeth Arden lingers on your skin like a caress. This fragrance is lightly salty and playfully fruity with a fresh, aquatic element to it. Mind you, it is quite sharp owing to its strong notes like plum, orchid, and mandarin orange. This is our pick for your next beach holiday. 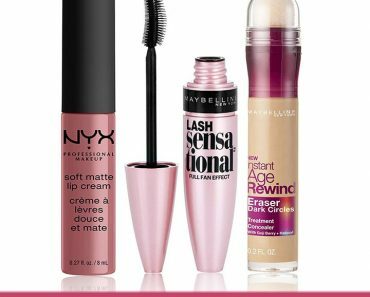 It’s ideal for women in their mid-20s and over.